Cakes from central Europe have no end it seems. That part of the world is like the cradle of confectionaries. Probably babies learn how to whip butter fluffy sooner than walking. 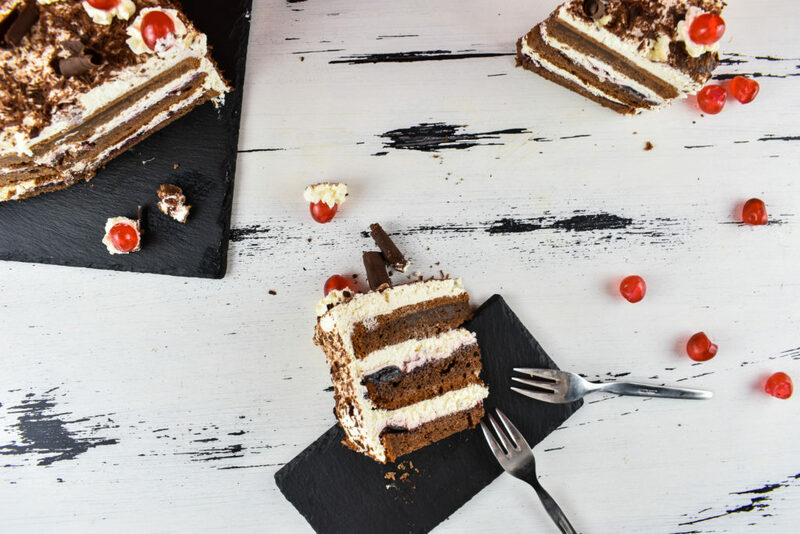 Black Forest cake comes from Germany but has not much to do with the actual Black Forest that can be found in the South-Western part of the country. Except that it is made with a Black Forest region specific cherry brandy called Schwarzwälder Kirschwasser that translates to Black Forest Cherry Water. This joyful 40% ABV spirit is made out of a kind of sour cherry without pitting the fruit thus giving the finished product a slightly bitter-almond taste apart of the subtle cherry flavor. 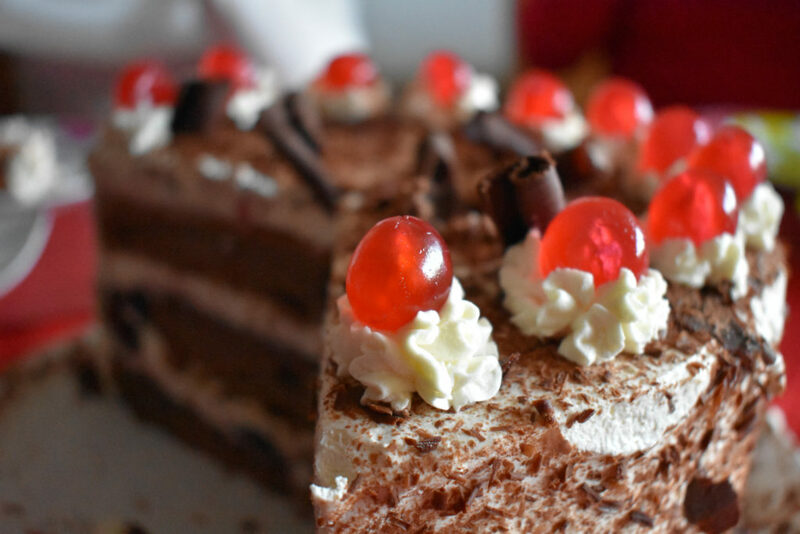 Although, this region-specific drink is not widely available nor it is the specific sour cherry, the cake spread around the world sprouting various versions of the original while adhering to the core values of cherry and cream on layered cake. 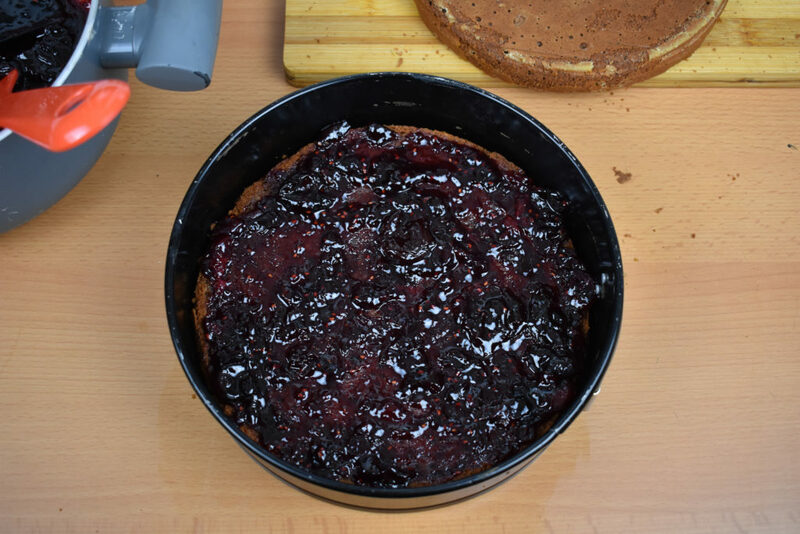 Skipping on the Kirche stuff will have more profound effect on the flavors of the cake than substituting the sour cherries with regular ones but the cake will still be pretty looking and enjoyable. 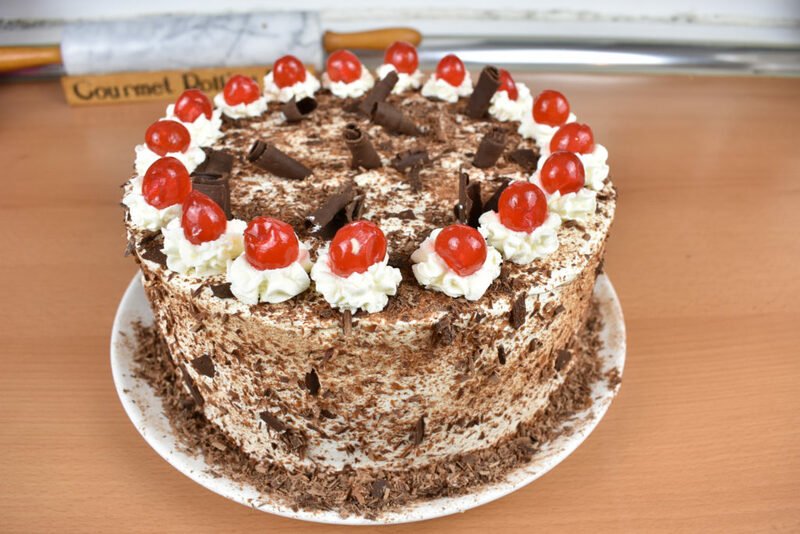 Speaking of looks, the cake’s cherry on top cream design is said to be inspired by the traditional Black Forest costumes of the Black Forest region. The accompanying hat of the woman is decorated with coconut sized red plush balls exactly looking like cherries on top. Cherries are indeed the core element of the cake. 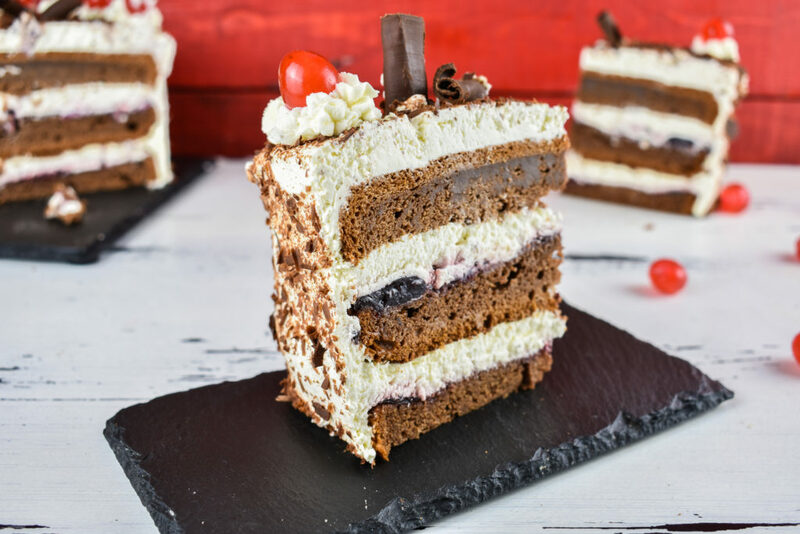 It doesn’t matter if the cream frosting is missing or the kind of chocolate it is decorated with as long as it has cherries on top, it can be called Black Forest cake. This particular recipe tries to stick to the original recipe except by of course skipping on sugar. Instead of white sugar a natural and much smaller amount of honey is added to provide some sweet flavor but nothing excessive or suffocating. 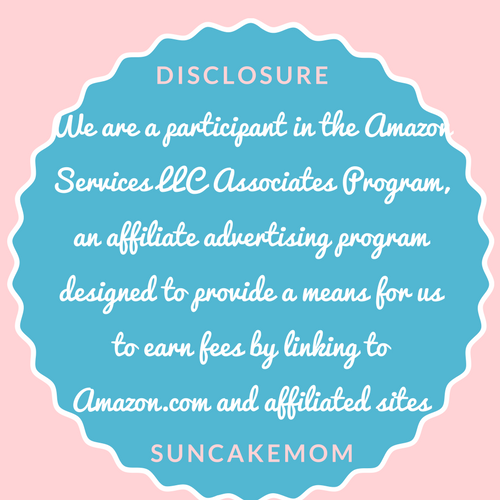 As always, the sweetener is substituitable with any other sweetener of choice and should set to individual tastes and preferences. There biggest problem with the cake is that it doesn’t keep well nor really enjoyable after a day or two. Due to the cream frosting, it can’t really be warmed up in a microwave oven to soften the pastry up a little bit nor it’s a great idea to freeze it down. It’s a perfect cake for special occasions when there are plenty of people around the enjoy the occasion and eat up the whole thing at once. Sure, enough there is a possibility to make a smaller cake and eat it up all alone at once but that would appear as a pretty bad status update on anyone’s social profile. 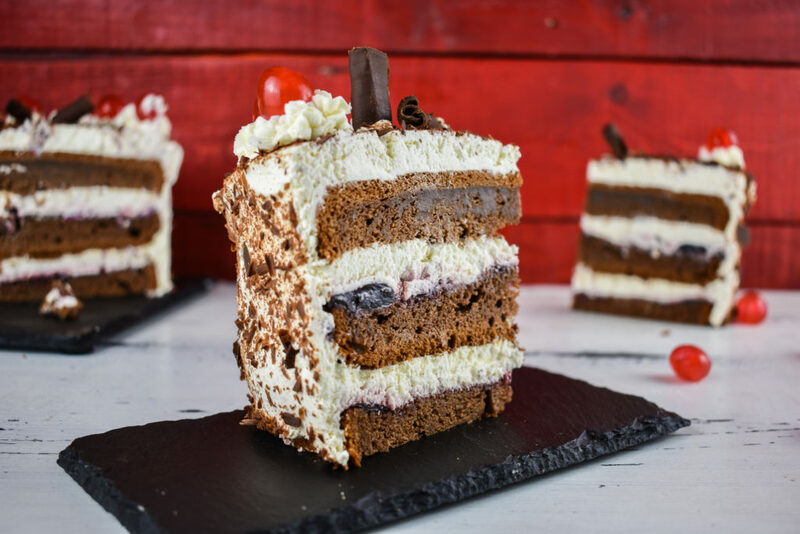 Overall, the black forest cake is a really light and creamy experience with the remote flavors of cherry coming and going through the bites while traveling on airy sponge cake pieces. 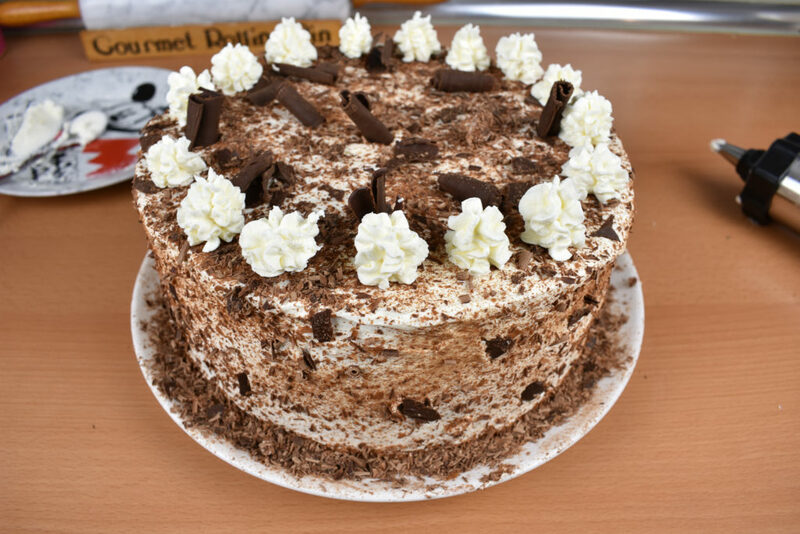 Splendid cake for splendid occasions be it in a party the be the cake the party. Preheat oven to 350°F / 180°C . Measure flour and mix baking powder with it. Melt chocolate in a small bowl, placing it onto a slightly bigger bowl of steaming water. Stir it gradually. When it’s melted take it off the heat and let it cool a bit before mixing it with the other ingredients. 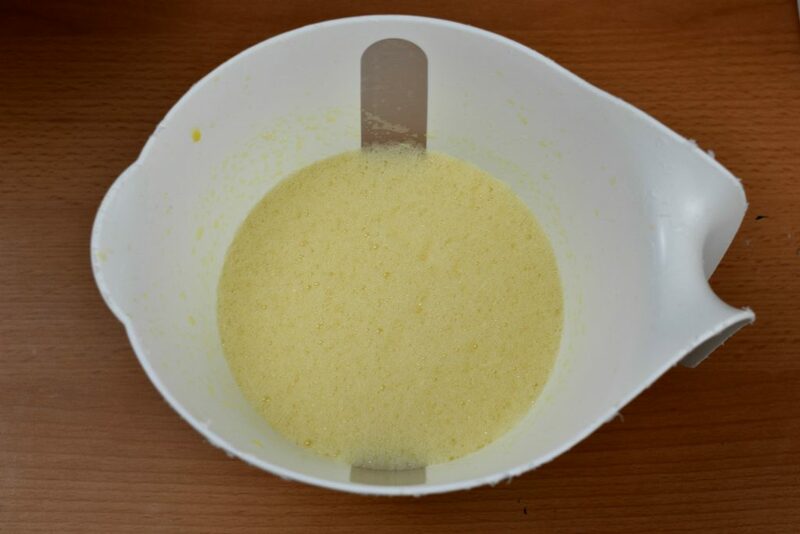 Separate eggs and put them into two different mixing bowl. First beat egg whites until stiff peaks form. Next beat butter until soft and fluffy. Put honey and vanilla extract into it as well. Beat yolks until fluffy and light yellow so it’s ready to add to the butter. 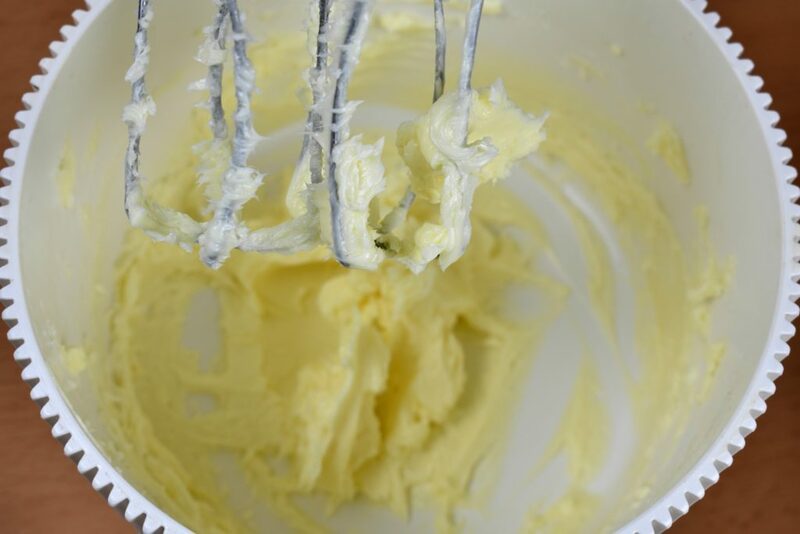 Alternate flour, melted chocolate and yolks whilst mixing them with the butter. Incorporate them well. As a final step, fold egg whites to the mixture. Pour batter into the tray and stick it into the preheated oven for about 40 minutes or until tooth pick comes out clean. When it’s out of the oven, place it on a cooling rack until it completely cools down. Don’t try to work with it even if it’s only slightly warm as it would ruin the whipped cream’s texture thus the whole cake. Cut the cake into 3 equal pieces horizontally. In a bowl mix jam and the liquor. 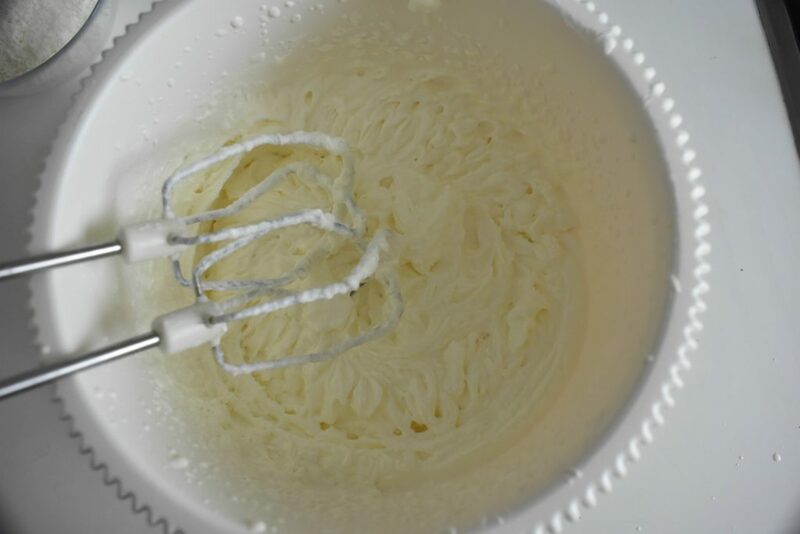 In a different bowl beat the whipped cream until hard peaks form. Divide the jam into 3 equal parts then divide the whipped cream into 4 equal parts. 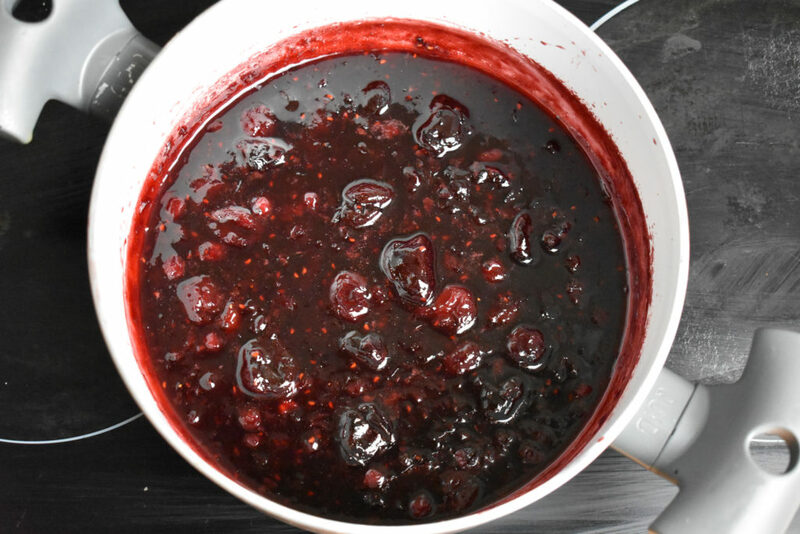 Spread ⅓ of the jam on the bottom part of the cake. 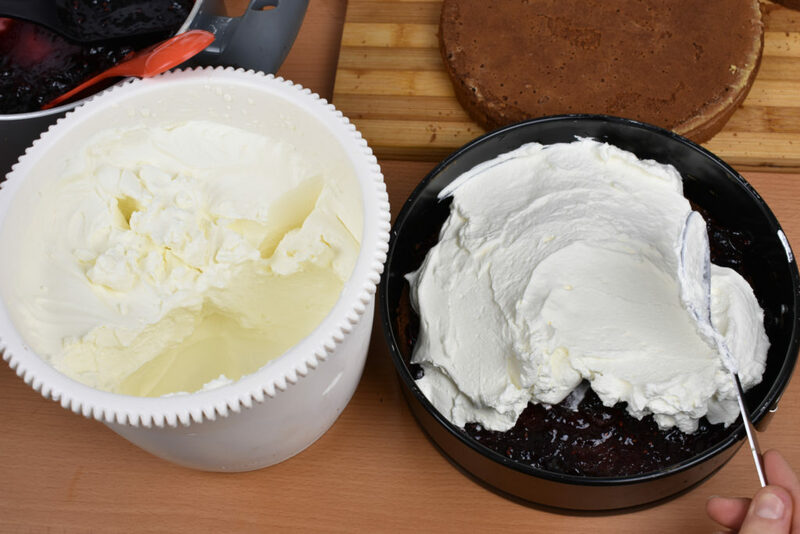 Spread ¼ of the whipped cream on the bottom of the cake on top of the jam. 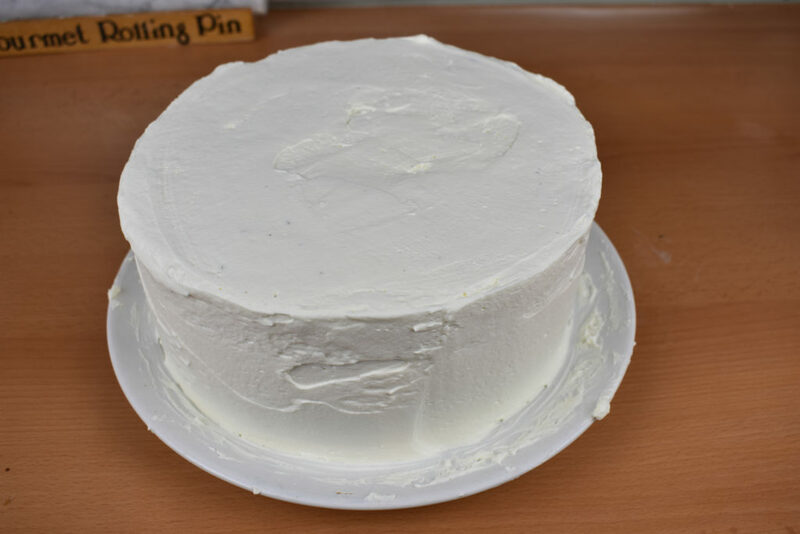 Place the second layer of the cake on top of the 1st layer of whipped cream. Repeat spreading the jam and the whipped cream on the second layer. 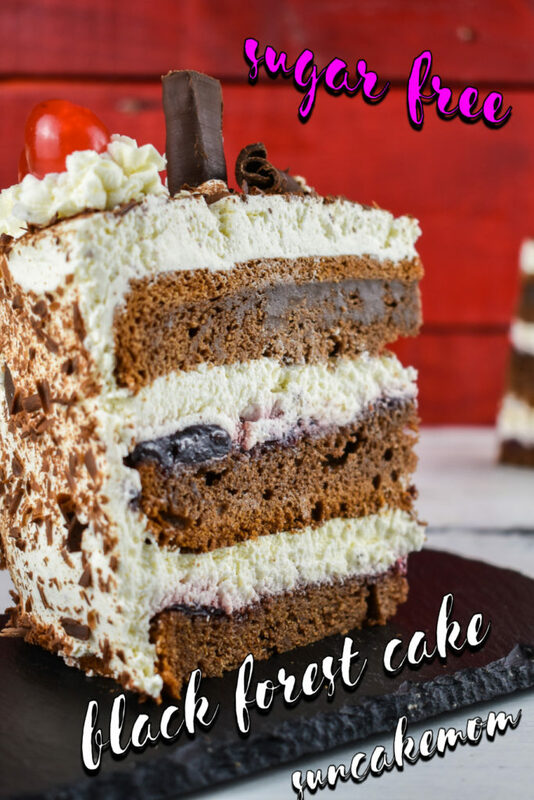 Put the third cake layer on top of the second whipped cream layer. 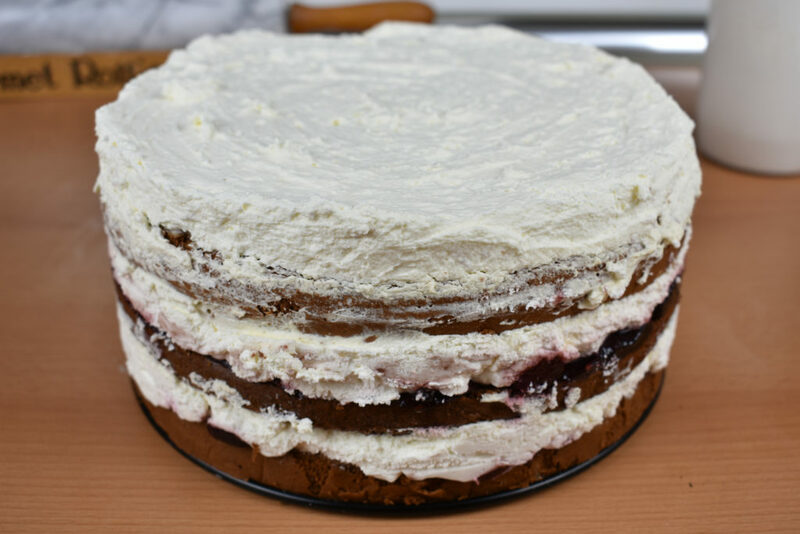 Spread the remaining ⅓ jam on top of the last cake layer and ¼ of whipped cream on top. 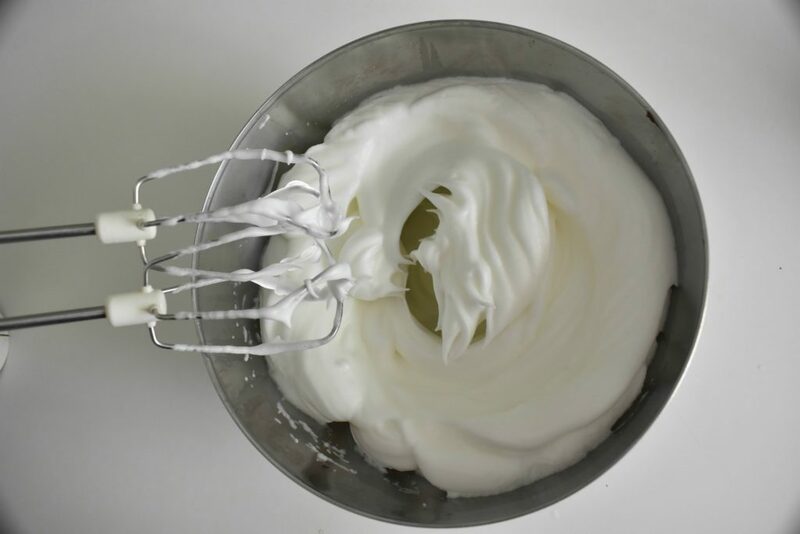 Divide the rest of the whipped cream into two parts and spread one part on the side of the cake. 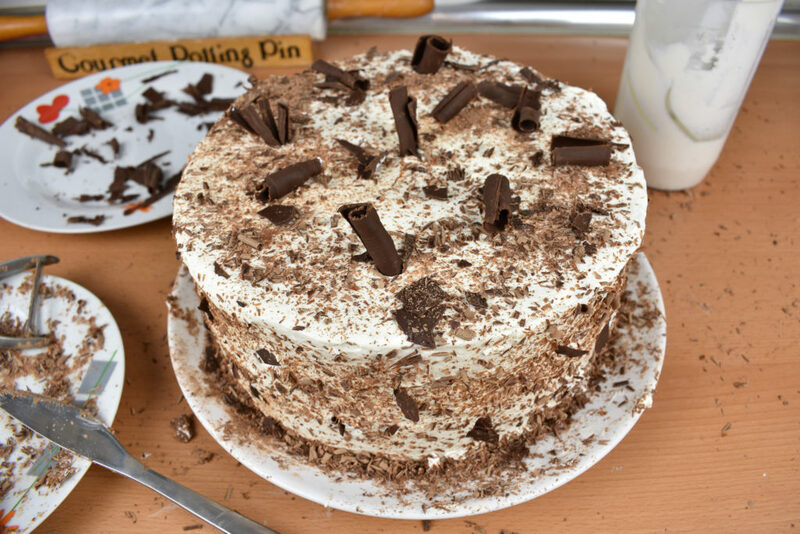 Sprinkle chocolate flakes on the side and the top. Fill a pastry bag with the remaining whipped cream and decorate the top of the cake by squeezing the cream out gently. Place the cherries on top of each whipped cream decoration. Optimally, the cake should rest in the fridge until the whipped cream locks the layers together for about 6 hours. Melt chocolate in a small bowl, placing it onto a slightly bigger bowl of steaming water. Stir it gradually. When it's melted take it off the heat and let it cool a bit before mixing it with the other ingredients. Beat yolks until fluffy and light yellow so it's ready to add to the butter. 10. Pour batter into the tray and stick it into the preheated oven for about 40 minutes or until tooth pick comes out clean. 11. When it's out of the oven, place it on a cooling rack until it completely cools down. Don't try to work with it even if it's only slightly warm as it would ruin the whipped cream's texture thus the whole cake. 12. 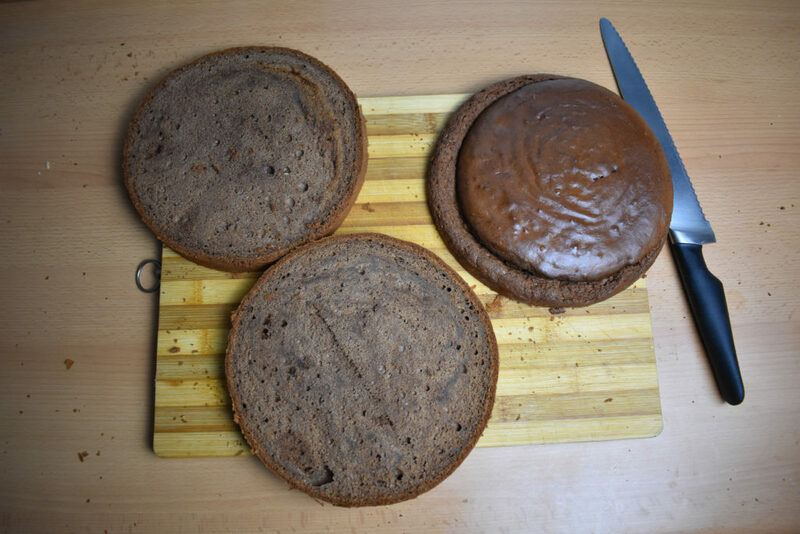 Cut the cake into 3 equal pieces horizontally. Spread 1/3 of the jam on the bottom part of the cake. 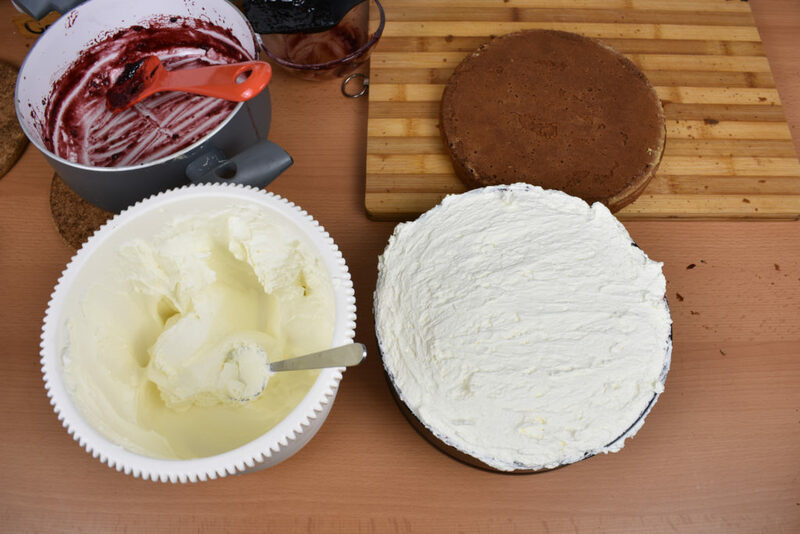 Spread 1/4 of the whipped cream on the bottom of the cake on top of the jam. Spread the remaining 1/3 of jam on top of the last cake layer and 1/4 of whipped cream on top. 10. Place the cherries on top of each whipped cream decoration. 11. 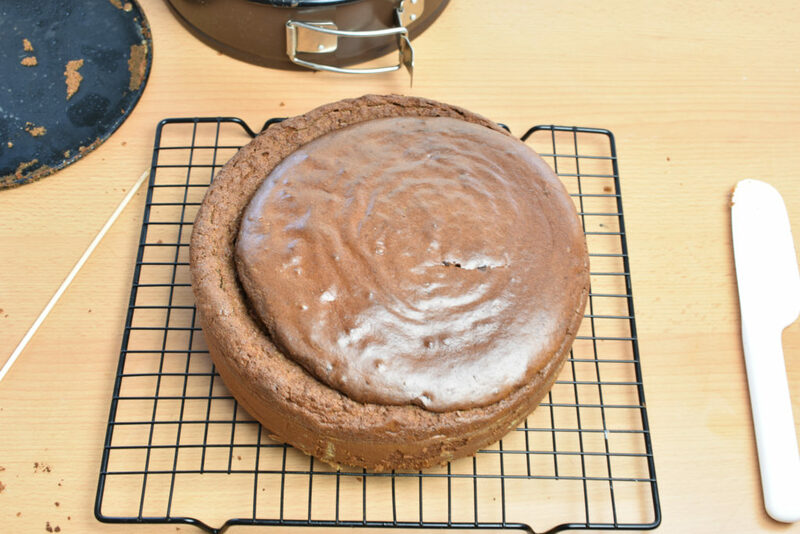 Optimally, the cake should rest in the fridge until the whipped cream locks the layers together for about 6 hours.